As you know I paint a lot of barn quilts and some I like and some I love! A few weeks ago one of my customers asked me to design a bear paw pattern to paint into a barn quilt. Though it is a classic quilt pattern, it hasn't been one of my favorites and I haven't painted one until this past weekend. 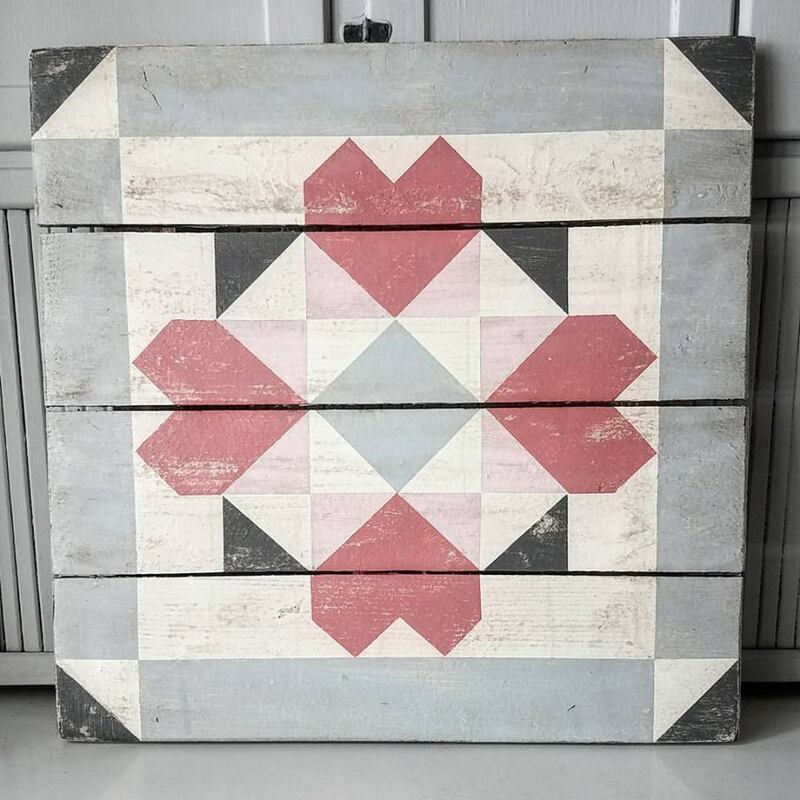 I love my colors and as I played with this design and painted the colors into each square and triangle I fell in love with it. Of course, the real magic happens once it is sanded and stained...but I think this may be my new favorite pattern. I have loaded the Double Bear Paw Barn Quilt into The Shop for orders. It will be available in the standard 22", 33" and 44" sizes. I will work on patterning it in the next couple weeks, so if you are ambitious enough to paint your own...patterns will be coming soon. Of course I had to paint the classic...because plain an simple is so on trend and I needed one for my home! This barn quilt also comes in the standard sizes and is available in custom colors via email request. 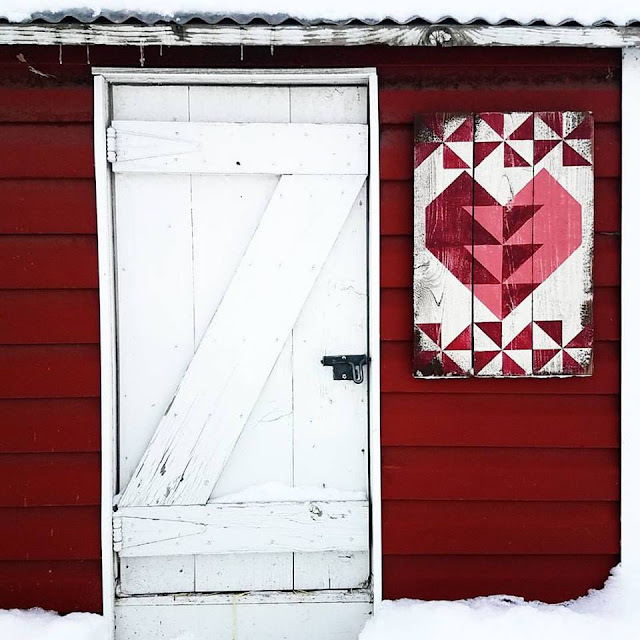 If you are looking for the pattern to paint your own Bear Paw Barn Quilt, the patterns are loaded in The Shop and are ready for same day shipping! I hope you enjoy this classic pattern, either with a ton of color or simple and sweet it is a classic for a good reason! We love it. It's almost February and time to share the second barn quilt in the Civil War Barn Quilt of the Month! It's one of my favorite blocks of all time, called Empty Spools. It is a tribute to the women and young ladies who put down their sewing projects and served their nation during the Civil War. There are countless stories in journals and letters from women who tore up their fabrics, and scraped the cotton threads to make lint bandages for the soldiers on both sides of the fight. I read quite a few of them as well as the tributes to them for their service, and I was quite inspired. I have always loved this block because I love thread and quilting...and anything colorful. But now it takes on a new meaning to me and has helped me to look for ways I can give a little more of my time and resources to help those in need. The kits are now listed in The Shop and are on sale! All Tweetle Dee Civil War Barn Quilt Collection items are 15% off through the 9th of February. Including the ready painted barn quilts in the collection for those of you who want one already painted! So go to the site and grab yours today. We have quite a few of you who have joined and I am excited to see your January blocks and what you do with this month's block too. I am going to make a 22" planked barn quilt of this pattern for the upcoming shows in Las Vegas and Los Angeles....and my sewing room too! Last night we reached 3,000 followers on Instagram! To celebrate we are giving away two 33" barn quilts!!! One for you and one for your friend. To enter to win, follow me on Instagram @tweetledeedesignco. Comment on yesterday's post and tag a friend. The winners will be announced on Sunday, January 29th. This has been an amazing year as we have grown as a business. We can honestly say that the best part of it is meeting all of you. Whether it's though social media, our classes, or events...it has been a joy getting to know you. We hope you enjoy this giveaway! Happy 3,000!!! Of all the recipes in my family cookbook the Chile Rellonos Casserole is the most requested! It also is our favorite dish to add to our Tex-Mex Game Day parties. It has a chili flavor that isn't too spicy, lots of cheese, rich tomato sauce and a sprinkle of cilantro. It is the perfect dish to throw together for your hungry guests. I'm often asked what Tex-Mex is and all I can say the food we call "Mexican" in America is not what you eat when you travel south of the border. We love to add our cheddar cheeses and lots of cream, which I'm not complaining about. Our favorite Mexican restaurants are judged on the creaminess of the beans and the flavor of it's cheeses. Seriously, we are quite picky...and my tribe LOVES this recipe. First Step is to wash and drain the chilies. Grate the cheeses and set aside. Layer the bottom of a thin casserole dish with the chilies. Split them open and lay them face down in the dish. Once the dish bottom is covered, sprinkle the first layer with the grated cheeses. Add a second layer of chilies. In a blender, mix together the evaporated milk, eggs and flour until smooth. Pour over the chilies and cheese. Cover the entire casserole with the rest of the cheese and bake at 350 degrees for 30 minutes or until it is firm. Pour the tomato sauce over the baked casserole and sprinkle with a little more cheese and the chopped cilantro. Return to the oven for an additional 5 minutes or until the top layer of cheese is melted. Let sit for 5 to 10 minutes for everything to settle into each other. This dish can be served hot or cold. I love it with a spoonful of Mexican rice and my homemade refried beans...of course garnished with olives, avocado and sour cream! It is also good with tortillas, beans and slow cooked Green Tomato Chile Beef. Which is another family recipe I'll share on Sunday! Seriously...the best shredded beef you'll ever eat! You can catch the full segment and recipes on KUTV Fresh Living January 20th at 2:00 pm! Whoever ends up playing in the big game in Texas, your tribe will be happy to eat and share this dish. Our favorite to yours! I am beyond excited to share my latest labor of love with you! I am a history junkie as some of you know. I love how quilting tells the stories of our history, both personal and as a nation. Every stitch means something to someone and for us barn quilters...every paint stroke does too. Which is why I decided to create a Civil War Barn Quilt Collection for 2017! 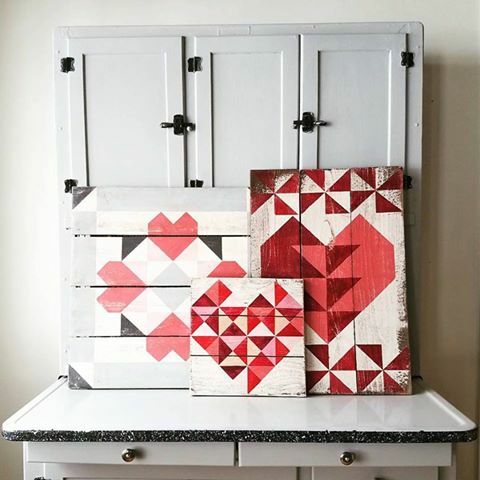 This collection is a Block of the Month Club for anyone who loves to paint barn quilts. There are twelve blocks in the collection one for each month of the year. The monthly kits are $25.00 (shipping not included). 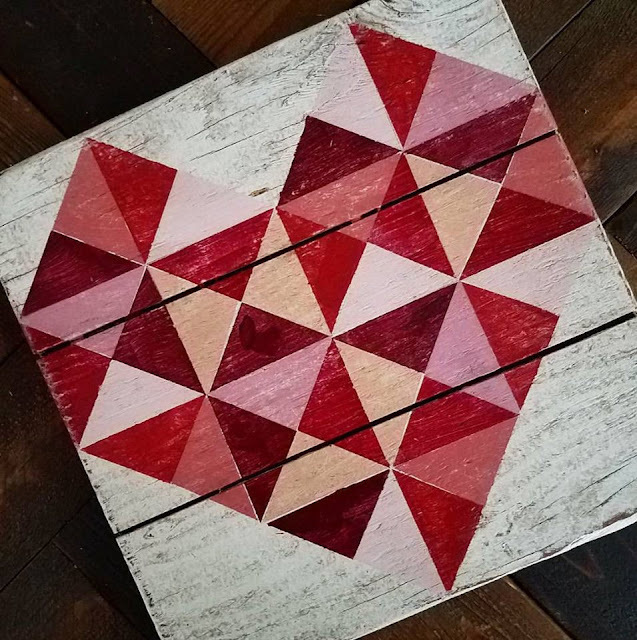 Each Month you will receive a 12" hardwood square prepped for paint, the pattern of the month which includes a history of the block and how it fits into the quilt, and a link to a online class on how to paint your barn quilt. There are three ways to order the Civil War Barn Quilt Block of the Month. You can either order them monthly for $25.00, purchase the year in advance, or order the blocks already painted! For the month of January we are offering a special kick 0ff sale! 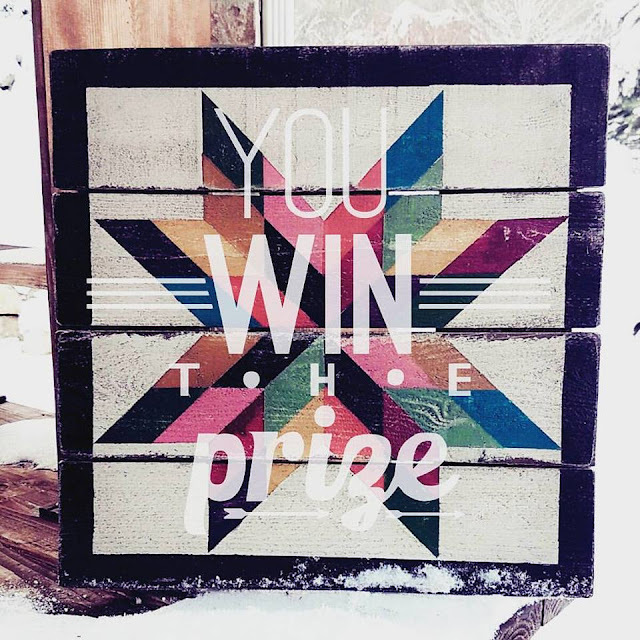 Simple use the promo code TDBOM at check out and receive 15% off your order of anything in the Civil War Barn Quilt Block of the Month collection. Click on the link to My Shop to order! January's block of the month is called the Union Square. I chose this block to begin the Civil War Barn Quilt Collection because of it's name and the need our country had then and now for unity. I am thankful that we live in a country that has so much diversity, and yet we are unified in our purposes of freedom for all. My ancestors came here for this purpose and fought for it during both the Revolutionary and Civil Wars. Their stories inspire me today. I hope you are as excited as I am about this 2017 Barn Quilt BOM. Remember to use the promo code - TDBOM to get 15% off on all of the BOM products! I can't wait to see all of the Civil War blocks that are created by you over this year! I have already pulled colors to paint the collection in a different color way. I'm telling you, it's addicting! If you have any questions about this BOM, please email me. It's all about love today! We have three new barn quilts for you to help spread a little of the mushy stuff. I love the pinks and reds against the white...and of course those subdued grays! You can find them in The Shop tonight ready to be shipped! We hope you love these little loveys as much we we do! Patterns and kits will be available next week for those of you who love to paint your own. The Shop is open for orders and of course custom colors are available by email.